Our Enterprise File Storage service provides a place for individuals, departments, and applications to have a network accessible file repository that is accessible by multiple users and/or multiple systems/clients simultaneously. We offer both NFS and CIFS (SMB) file protocols to accommodate a wide variety of configurations. The storage on which your files are stored is a highly available and fault tolerant to prevent data loss. In addition, we offer optional backup and disaster recovery services for an additional fee to maximize your data protection. Using centralized Enterprise File Storage provides a high-quality, secure, shared environment for a low cost. This service is certified for data classified at levels 1 - 3 and PHI data. 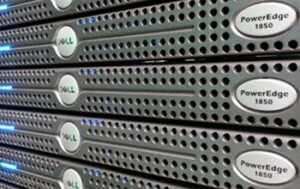 Eliminate the need for departmentally owned server infrastructure. Provide resources that some departments may not be able to individually afford. Decrease the redundancy of equipment on campus and more efficiently use resources. Increase time and resources departmental IT professionals can devote to user support issues. Decrease the number of points of failure. The Division of IT also provides around-the-clock monitoring 365 days a year, a physically secure environment, timely hardware upgrades, backup services and backup power. Enterprise File Storage provides a highly available, highly scalable data storage solution for Windows, Sambam and Linux (NFS) clients and supports file shares and directories at the lowest rate possible while maintaining security, adequate performance, high availability and optional data protection. Enteprise File Storage can be purchased in 1GB increments. Enteprise File Storage is charged monthly at a rate of $0.04 per GB. A MoCode is required to obtain this service. Monthly billing is based on the highest quota assigned to the share within the previous calendar month. Enterprise File Storage supports file share connections via CIFS (Windows/Samba) or NFS (Unix) protocols. Go to doitservices.missouri.edu to request Department File Storage. Login to the self-service portal with your University user id and password, select Service Catalog, and search for Department File Storage.